Upon completion of 6 required courses, earners will have demonstrated knowledge of key leadership principles with a focus on tactical data analysis skills and performance management through coaching techniques. Earners will understand how to identify and track key performance metrics and use data to make decisions. They will understand best practices for presenting data and conclusions to increase their organizational impact. Earners will understand key elements for successful change management. 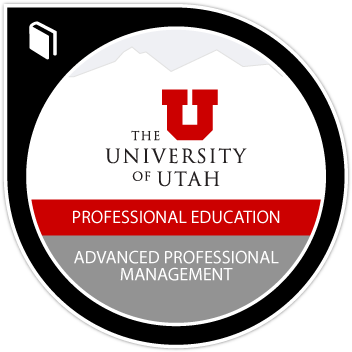 Successfully complete 6 required courses / 42 hours of instruction in the areas of data driven decision making, managing your team through change, feedback and expectations, key performance indicators, professional coaching and communication of data.